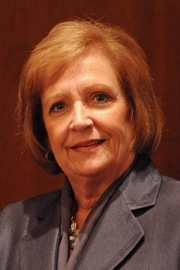 MACOMB – With Speaker Madigan again cancelling the Session scheduled for Wednesday, June 15, Rep. Norine Hammond (R-Macomb), issued the following statement. “With only two weeks remaining in the fiscal year, without an immediate budget resolution, we will enter the second fiscal year in a row with no state budget in place. That is beyond unacceptable. It is entirely unacceptable that the Speaker has cancelled Session 2 weeks in a row. I continue working with the Budget Working Group toward finding common ground with rank-and-file legislators from both sides of the aisle to end this impasse. The work has been productive and has yielded several budget options that have been presented to leadership on both sides of the aisle. I look forward to continuing our efforts on this critical work, however, at some point the Budget Working Group’s suggestions must be called for a vote by the Speaker or all of our bipartisan work is for naught,” said Rep. Hammond. “I support two bills that are currently being proposed and that we have the funding to pay the costs. They provide 6 months of bridge funding to our universities and agencies and provides a full year of funding, with no proration, for K-12 schools. This is obviously not my first choice. I have made that clear in the past. However, if consensus cannot be reached on FY 16 and FY 17 budgets, bridge funding would provide the most responsible course of action in order to be certain our schools and universities open on time, seniors receive the services needed and the services for our most vulnerable can be provided,” Rep. Hammond continued.